I’ve just uploaded the second part to the video/slideshow guide that I’m making for 24 Carrot Island. Check it out! Hope you liked it! I should be done with it in one more part, so I’ll try and hurry up with that. You can check out other video guides by going to the Video Guides page. So far I’ve got guides up for Cryptids Island, Early Poptropica Island, Shark Tooth Island, Time Tangled Island, and (of course) 24 Carrot Island, with more coming! Also make sure you take a look at the Guides page, which has written guides for all of the islands except for Super Villain Island, which I’ll hopefully add soon. I finished the first part to a video guide on 24 Carrot Island! Actually, I’ve been finished with it for awhile, but I’ve been to lazy to upload it. But that’s beside the point. Hope you like it! I’m working on the second part to this guide, so make sure you check back for that! Click HERE to see the page that this video’s on. Also, make sure you check out the Guides page and the Video Guides page for more awesome guides! 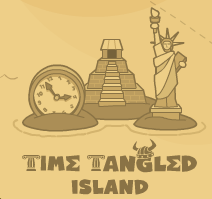 You can see the earlier parts to this guide on the Time Tangled Island Video Guides page. Also, you can check out more video/slideshows on the Video Guides page! 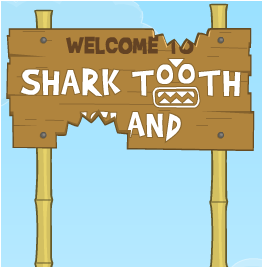 I’ve made some video guides for Shark Tooth Island! There are three parts to the guide, hence the name of the post. Anyway, you can see these three videos by clicking HERE. To see more, in my opinion, awesome video guides, just go to the Video Guides page. And remember that I’m always working on a guide, so I’ll be able to add some more videos real soon! I recently finished a video guide for Early Poptropica! And now I’m posting the video! Anyway, the video is below. It will also be on the Video Guides page along with some other guides. Make sure you check it out! P.S. Believe it or not I actually managed to fit it all in one video! Thank goodness, I’M FINALLY DONE WITH THE GUIDE TO CRYPTIDS ISLAND!!! TWISTED THICKET ISLAND HERE I COME! *cough* Sorry about my momentary wierdness. Happens a lot. Anyway, the videos are below. I’ll also put them on the Video Guides page, so make sure to check that out! I’ve finished the fifth part to the video guide I’m making for Cryptids Island, and I’m working on the sixth part. So close to being finished! Anyway, the video is below. Also, remember that you can always check out the Video Guides page to see the other video guides that I’ve made. I’ve finished the fourth part of my video guide to Cryptids Island! And, no, I wouldn’t be surprised if I had to make at least ten videos to finish the guide. Anyway, the video’s below. If you have any suggestions, questions, thoughts, etc. just let me know in the comments!